Anava Jewelry brings you this unique double layered chain and pendant necklace made from engraved silver plate. 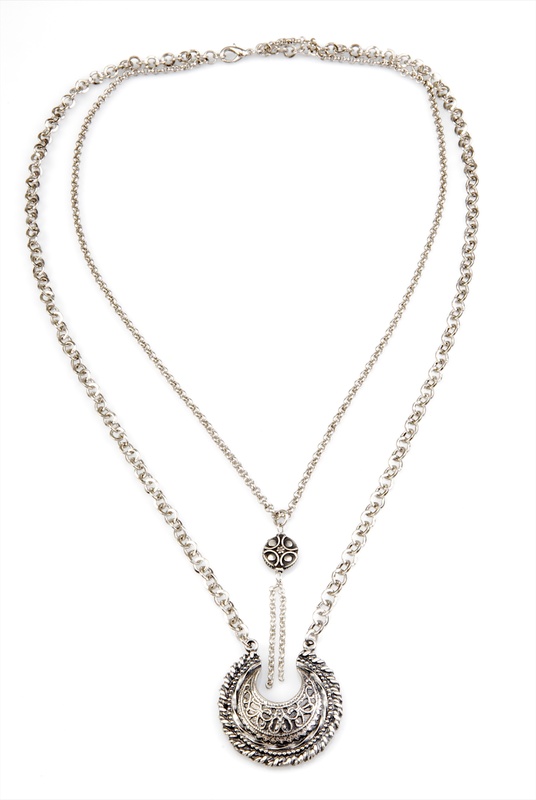 This striking long silver pendant necklace from Israeli jewelry makers Anava features a double chain and pendant motif. Both chains are constructed from simple, flat round links and plated in silver. The shorter, thinner chain is decorated with a circular pendant in which four round designs surround a flower. Two pieces of delicate silver chain hang from the bottom of the small pendant, dipping into a cutout on the larger silver pendant suspended on the necklace's outer chain. The large pendant, the focal point of this unusual silver piece, is a nearly a complete circle (except for the cutout at its top). Concentric rings handcrafted in different styles surround a piece of silver filigree. The longer part of this statement necklace measures 25.6 inch (65 cm). 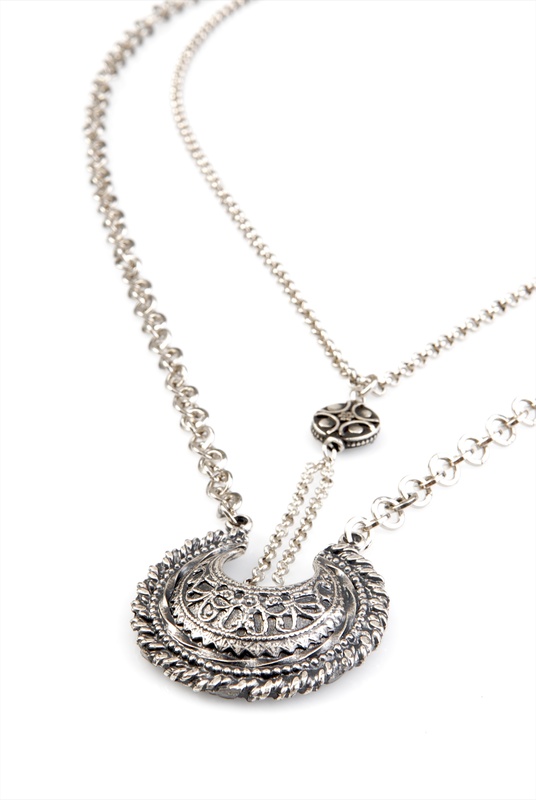 The modern link styling and traditional filigree element make this silver pendant necklace an unusual, uniquely Israeli piece of jewelry. This necklace is a great addition to any collection of modern Israeli jewelry design, and makes a wonderful gift for any lover of handmade silver plated jewelry.